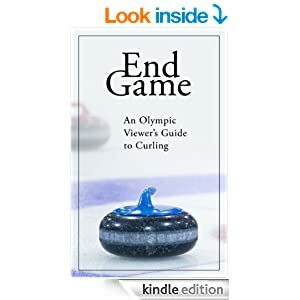 This article is a reprint of the 2006/07 Black Book Curling article. It’s the 2005 Brier Final. Ferbey, appearing in the final game for a 5th straight year, is facing what appears to be a simple decision. It is the 9th end, and the game is tied. A miss by the opposing skip, Shawn Adams of Nova Scotia, has left the Alberta rink lying one with no other rocks in play. It is commonly accepted curling strategy to play for two (or more) when you have the hammer and hold your opponent to one (or steal) without last rock. In this case, Ferbey would be expected to draw to the open side of the rings and likely have a final shot at two or perhaps three if Adams attempts a freeze and makes a poor shot. David Nedohin, who throws the final rocks for the Ferbey team, discusses the options with Randy. Much to the surprise of fans and commentators, they decide to remove their own stone and play out the end for a blank in order to keep the hammer in the 10th end. The final outcome eliminated any need for second guessing the decision, as Ferbey won - David making a draw to the open four foot in the 10th end for the victory.The question I immediately asked myself was, is that the right decision? Not in terms of gut feelings of the moment or using hindsight, but if the game was played 1,000 times or 10,000 or infinite times, what would be the correct play based on mathematics and statistical analysis? Could this be done and, if so, how valid are the results?Now, let’s attempt to analyse the situation based on available statistics and mathematical in-game analysis. To examine the 9th end decision, we need to determine all the Expected Results (ER) and Variables (V) to be included and state which are being omitted. ERs are numbers, in percentages, taken from existing statistics. Variables are numbers, in percentages, which are estimated during a game situation. Variables are based on the chance of making a single shot or the expected outcome following a succession of shots during an end. The ERs, Vs and related assumptions I used are listed below. I have indicated in each case which letter is used to represent each ER or V.
Nova Scotia will attempt a freeze on the rock in the back four (they will not try a double) if Alberta draws to lie two. When going for two in 9th, it is assumed that at worse Alberta will take 1. Odds of a steal for Nova Scotia are considered negligible. Let’s examine the options Alberta faces, to try for a blank or attempt a multiple score. This number is an estimate a Skip would make based on experience and analysis of the individual shot and subsequent shots to come. Many skips will often evaluate these types of variables at key points during a game. Let’s estimate a team at this level will succeed in blanking 95%. You may notice a faster way to determine the odds of losing is to subtract the odds off winning from 1. 1 -.7494 = .2506 or 25%We have determined that Ferbey can expect to win three of every four times that they choose the questionable call of removing their own stone in an attempt to blank the 9th end. Option 2. As we did previously, these numbers are an estimate done by a skip prior to calling the critical shot in the game. Let’s start by estimating that 75% of the time Adams will make a great shot with a freeze and hold Ferbey to 1 (t). If his shot is not successful, let’s assume that 20% of the time Ferbey scores two and another 5% they score three. Our original assumption was that Nova Scotia would not steal if Alberta attempts a multiple score. It is possible (though not likely) that Adams could in fact steal if Alberta attempts a difficult shot for two or three and misses. Consider Ferbey’s confidence in being an “above average” team and in their ability to win if tied coming home. The Expected Result tied with hammer in the 10th end is nearly 76%, but Alberta may believe their chances are in fact higher. By blanking the end, Ferbey keeps greater control over the final outcome. The Variable t in Option 2 is an estimate of their opponent’s odds of making his final shot of the end. Though they can asses the chances, Alberta cannot impact the final result. If Adam’s makes the perfect shot, Alberta may have no choice but to settle for 1. In Option 1, there is no Variable associated with their opponent. Now, what about these Expected Results and the numbers associated with them? Our sample size of data is still small, only having a few years of 4-Rock Curling in Canada. As the sample size grows, our confidence in these numbers will increase. What about evaluation of our team skill and our opponents? Maybe the average Brier or WCT team wins 40% when 1 down, but what if I’m team Ferbey, are we 5% more likely to win? 10%? What if I’m playing Martin instead of Adams? It would take much more math to examine these questions in detail, and I suspect we do not yet have enough data to develop a clear answer. We can, however, use the average analysis and apply it to a given situation. For example, Ferbey may decide their chance is greater than the ER of 76% to win with last rock. This simply reinforces their decision to attempt a blank.The use of these numbers is applicable to any competitive team and useful for many game situations. Examine the scenario of being down one with the hammer in the 10th end, facing a difficult shot for two or a simple draw for one to tie the game and play an extra end. Math tells us that we should attempt the shot at two, even if we expect to miss 3 out of every 4 times that we try the shot!